Jean D. Ketcham, 88, Green Bay, passed away Friday afternoon, August 24, 2018, at Tender Hearts Assisting Living in Green Bay. She was born February 17, 1930, in Fargo, North Dakota, the daughter of the late Lyle and Emma Davis. Jean graduated with honors from North Dakota State University, Fargo, North Dakota. On September 22, 1956, she married Frank B. Ketcham in Fargo, North Dakota. Jean worked in Green Bay as a teacher at Franklin Junior High School and as a bookkeeper at Executive Office Products. 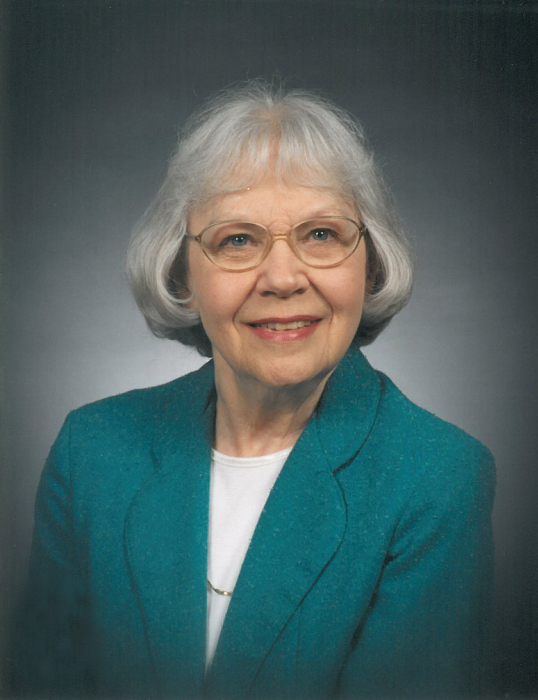 She was a member and past-president of the American Association of University Woman (AAUW), as well as being actively involved with St. Paul’s United Methodist Church and the YWCA. Jean is survived by her daughter, Lee Ann Ness, Pulaski, and her fiancé, Gary Van Dinter, Appleton; her son and daughter-in-law, Donald and Barbara Ketcham, and their children, Claudia and Claire, Hastings, Minnesota; her sister, Joan McEvoy, Milford, Michigan; and her nieces and nephews. In addition to her parents, she is preceded in death by her husband, Frank Ketcham, sister, June Kaeding, and brother, Dorne Davis. Gathering time with family and friends will be held Thursday, August 30, 2018, at Lyndahl Funeral Home, 1350 Lombardi Avenue from 9:00 am until the time of services at 11:00 am, with Rev. Diane Rew, St. Paul’s United Methodist Church, officiating. Entombment will be in Fort Howard Mausoleum. Expressions of sympathy, memories and photos may be shared with Jean’s family on her tribute page at www.lyndahl.com. The family would like to express their thanks and gratitude to the staff of Tender Hearts Assisting Living and Heartland Hospice for their loving care of Mom. In lieu of flowers, memorial contributions may be made to Tender Hearts Assisting Living, Green Bay and/or Heartland Hospice, De Pere, c/o Lee Ann (Ketcham) Ness.